RTTD summer special edition Ebook: 3 to 9 steps to draw fun things. Table of content included. 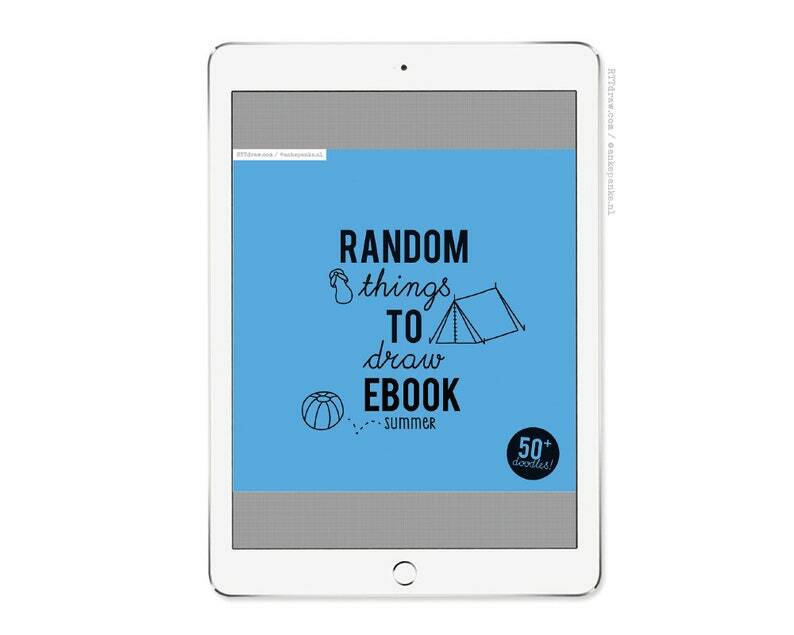 In this ebook you can find more than 50 doodles to draw. From ice creams to jellyfish, swimming gear to camera, camp fire to salamander and so on. Fun to do on a rainy afternoon, create a window drawing, in your planner/bullet journal or to decorate stationery. All designs are for personal use only, you are not allowed to resell (digitally or printed) it and when you share on social media, always credit. Thanks! Great eBook and inspiration for doodling! Products are send in an bubble envelope (track and trace not possible) and are automatically calculated based on weight and where it needs to go using the current prices from Postnl. You can see how much it is in the shopping cart. I didn't get an order confirmation email, why not? Check the spam folder and if there's nothing there too, send me a message. I would like to review your product on my blog, can I get a free sample? I love collaborations, so contact me and we'll see what we can do together. Sorry, at the moment I don't do wholesale. I have an idea for a RTTD! Please tell me about it! I'm always up for new ideas.